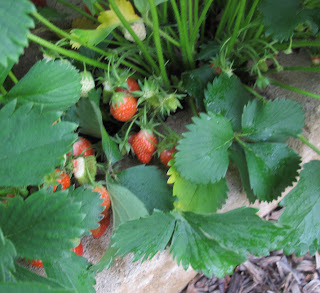 The good news from the vegetable garden is that the strawberries are beginning to ripen. I ate a little bowl of them this evening. I'll be picking strawberries every day now for awhile. These are everbearing strawberries, so they'll continue to produce some berries through the growing season, although not in the same quantities as they produce in June. The bad news from the vegetable garden is that I discovered early Monday morning that a rabbit or maybe an entire marauding colony, nest, warren, or herd of rabbits ate all the sweet pepper plants except for one. They left me one plant of 'Big Bertha' peppers. Eight of my sweet pepper plants were 'Cubanelle'. 'Cubanelle' is hard to find as plants in the garden center so I had lovingly, carefully, thoughtfully grown them from seed. The rabbits ate every one of those plants and then went on to eat all the basil and eggplant. 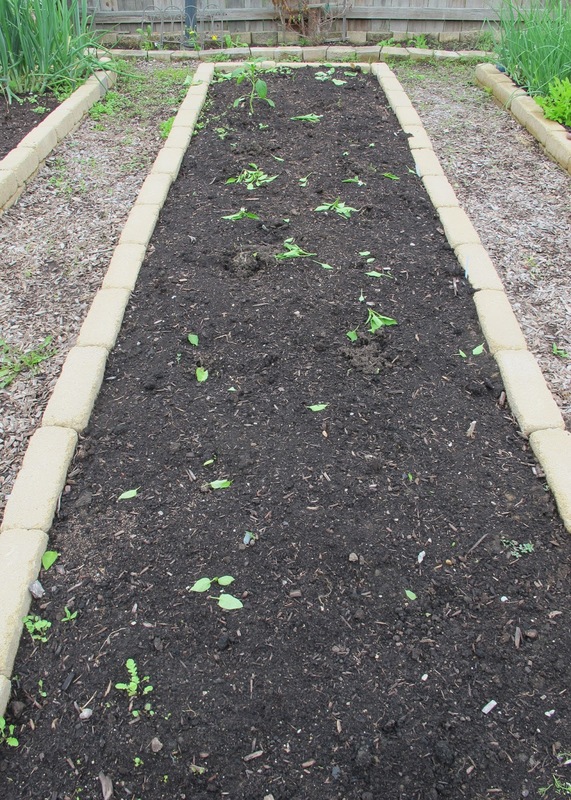 I will re-buy and re-plant some sweet peppers, taking appropriate measures to protect them from the rabbits. 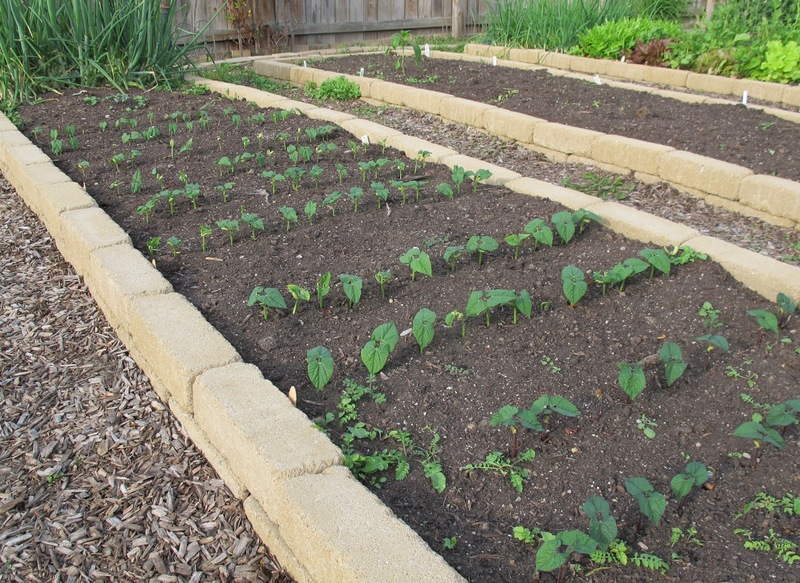 In the meantime, I checked this evening and found that all of the green beans have sprouted. I'm growing five varieties of green beans, two four feet rows of each. Once I saw those little seedlings, I took appropriate measures to protect them so they would not end up as dinner for that marauding colony, nest, warren or herd of rabbits. Yes, I forked my green beans. 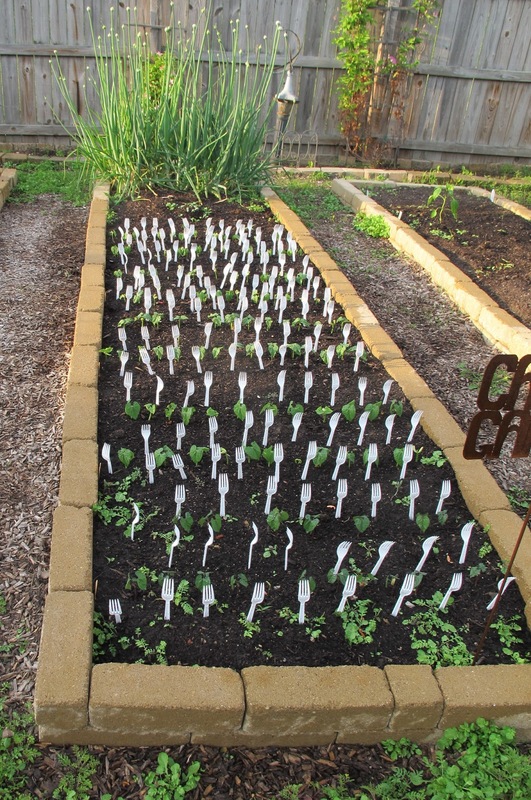 You may laugh at my methods for keeping marauding bands of rabbits from eating all my beans, but when I did this with spoons several years ago, I had my best green bean crop ever. In other news, I began experimented with my new weed eradication method. I messed the experiment up a little bit, but I should still be able to tell if it worked by morning. OK, this would make a great parody of a Cee Lo Green song: "I see you hopping through my garden eating plants I love, and I'm like, fork you ..."
Those little things never stop eating! I may have to try a few forks. Thanks for sharing! I hope it works...that was one (or many) destructive bunnies. I wish forks worked for deer. That's a tip worth trying... Something ate every single sunflower sprout in my long, double row...what do you do when the plant exceeds the height of the fork? So how's the weed eradication method that you are working on? Hope it goes well. I applaud your ingenuity! You'll have to provide a follow-up. The plastic fork people may offer you a commercial. The Strawberries look so yummy! Sorry about your peppers..those darn rabbits. The beans look very healthy though and I hope the fork trick works. I'm looking forward to hearing about the weeds....I could use some help in that department! I'm going to try the fork method for my beans. Those pesky rabbits drive me crazy! That certainly sounds like something to try. I have had terrible problems with voles, for them I put lava rock in the planting holes or trenches, sprinkle on cayenne pepper, and put nails by each pole bean so they can't come up under it. 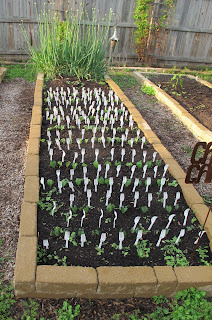 But last year for the first time in a long time rabbits ate many of my bean seedlings. I ended up putting netting over them and propping it up with gallon pots. Forks would be easier. It's sad about your beans and peppers. I never experienced anything eating nightshades much. Deer did get into my squash bed and eat all my little squash last year, I did manage to find a gallon pot of 5 fair-sized Crooknecks at HD and replant them so I hope you can find some good peppers. I have used an old nylon curtain over coat hangers curved. Or flat a for bit.they do like the fresh new growth anythingto keep them off my beans. and Pole beans are a way to get thank you presents from the deer.make your choice, right.